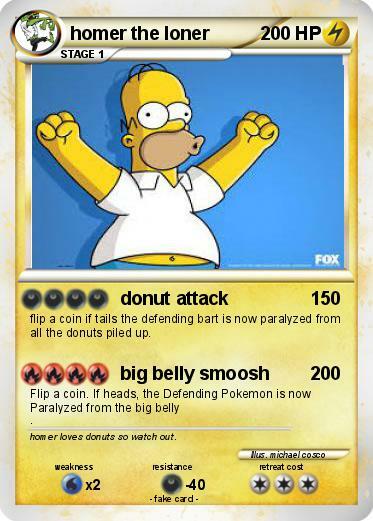 flip a coin if tails the defending bart is now paralyzed from all the donuts piled up. Flip a coin. If heads, the Defending Pokemon is now Paralyzed from the big belly . Comments : homer loves donuts so watch out.